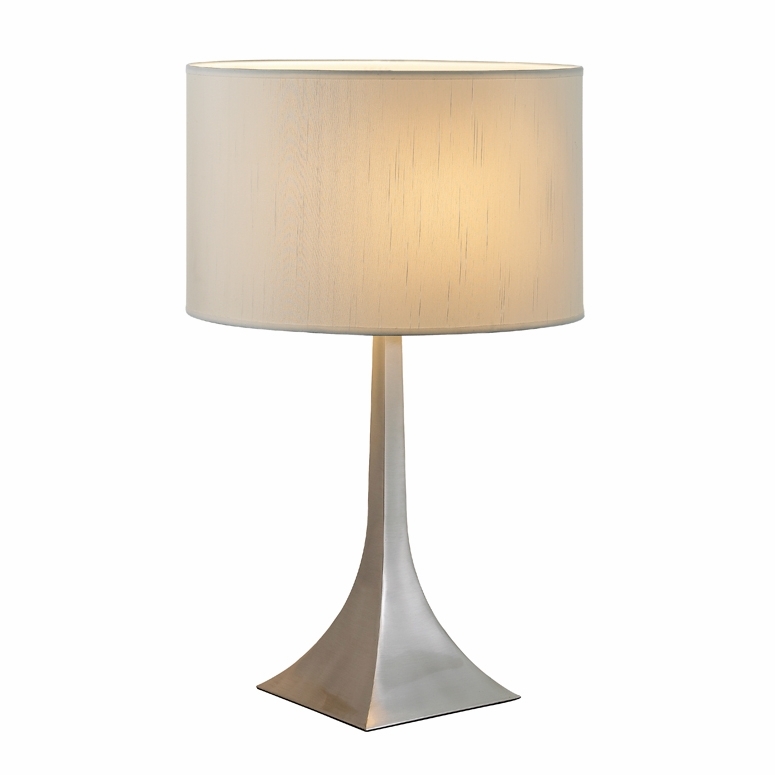 Each elegant pyramid shaped square steel base has a white silk-like fabric drum shade. Three-way touch sensor switch. 150 Watt. 28.5� Height, 9� Square base. Shade: 11� Height, 17.5� Diameter.